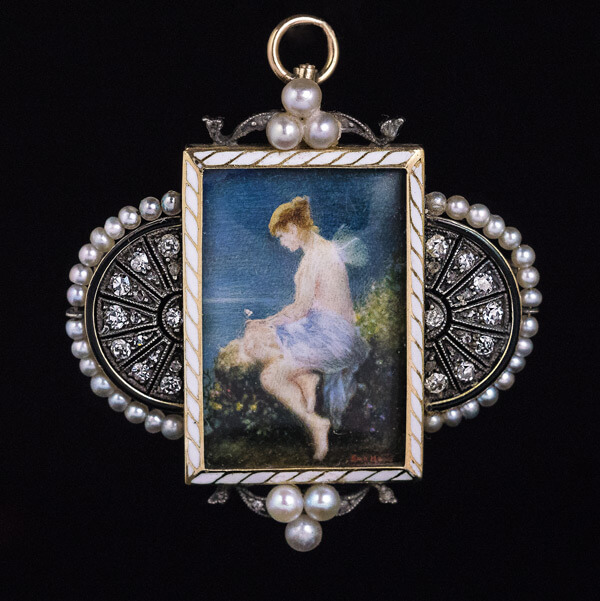 This delicate antique Jugendstil (Art Nouveau) pendant / brooch features a glazed miniature painting on bone after Wilhelm Kray’s Psyche with a Butterfly on the Seashore. 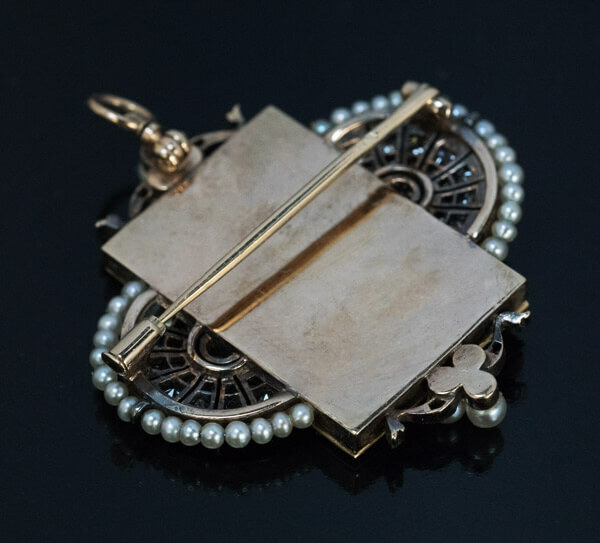 The miniature is set in a white enamel, 14K gold, silver, diamond and pearl Jugendstil frame. The miniature is signed by the artist in the lower right corner. 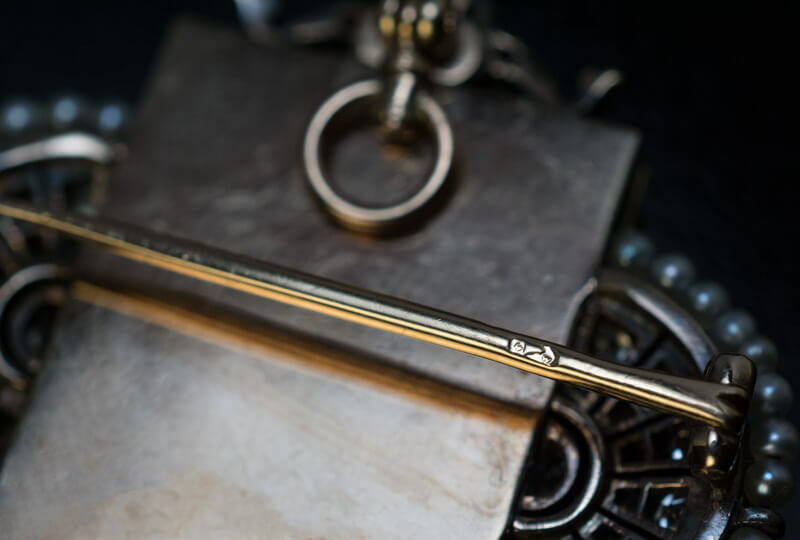 The pin is marked with Austrian gold assay mark for 14K gold standard. A very fine and unusual piece.